The health benefits of Cayenne Pepper have truly amazed me. I had read that it was a useful home remedy for constipation but while I researched this humble spice I uncovered what appears to be a miracle cure-all. Cayenne pepper, or capsicum annuum, has been prized for thousands of years both for flavoring food and for it's healing properties. It comes from a shrub which grows in subtropical and tropical climates. Clinical tests have been conducted on numerous occasions and it has been scientifically proven that the health benefits of cayenne pepper also extend to remarkable and sometimes miraculous healing properties. Cayenne pepper is remarkably useful in the treatment of constipation. It rebuilds stomach tissue and produces peristalsis in your colon to aid digestion. Digestive health problems can affect your physical and emotional health, so treating the root cause is usually the best method. All parts of the body including the brain, muscles and glands are fed through your digestion. Cayenne also thins the blood so is good for your circulation and has been reported to have a normalizing effect on patients with blood pressure problems. If you have a skin condition, using cayenne topically might help you. It has been proven to successfully treat conditions such as psoriasis. 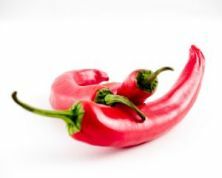 Cayenne pepper is not merely preventative or a useful supplement for general health but it can be used in an emergency. It increases the pulse rate and carries blood quickly to all parts of the body. It will arrest the flow of blood from a wound in seconds and it is an antiseptic and pain reliever. Cayenne has long been used for promoting good cardiovascular health. In fact, years ago hot cayenne tea was even thought to be able to stop a heart attack. I'm not sure if this is true but the story goes: There was a 90 year old man in Oregon suffering a severe heart attack. His daughter luckily had some cayenne extract on hand and got it into the man’s mouth. The medics pronounced him dead but minutes later he was conscious. His daughter continued giving him the cayenne extract until they reached the hospital by which time he seemed to be fine. The doctor was amazed and said it was like a miracle. It is known that cayenne pepper strengthens the capillaries and arteries of the heart. It lowers cholesterol levels and diminishes the risk of blood clots. This has made Cayenne a popular supplement for heart health and cayenne tea is effective for improving poor circulation. The health benefits of Cayenne Pepper have acquired a little bit of celebrity status from the famous Master Cleanse Diet also known as the Maple Syrup Diet, the Lemonaide Diet/Lemonade Diet and the Lemon Detox Diet. This Cayenne pepper lemonade drink has been used by celebrities such as Beyonce and thousands of non-celebrities to detox and lose weight. See more on The Master Cleanse Detox Diet here. Another remarkable health benefit of Cayenne Pepper is that can be used to dull various types of pain and scored well against placebos in scientific tests. Cayenne can clear gases and matter that causes digestive trouble from the blood and if you suffer from cold hands and feet, it can have a warming effect. Cayenne works effectively as a natural anti-inflammatory and some arthritis sufferers have found relief from taking it as a supplement. Cayenne is an astringent so if you have toothache or bleeding gums, it will help. It thins mucus and can relieve you if you are suffering from a cold or stuffy nose. Another health benefits of Cayenne pepper has been seen in the treatment of varicose veins, allergies, asthma and diabetes. Cayenne is also a natural appetite suppressant. 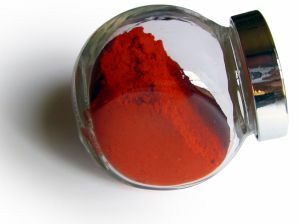 It is easier to take cayenne supplements than raw cayenne pepper. The seeds can be toxic so should not be consumed. Supplements are a safe and simple way to take cayenne pepper, especially if you do not really like the taste of the fresh product. Supplements have all the great health benefits of cayenne pepper and can improve a great many aspects of your health!